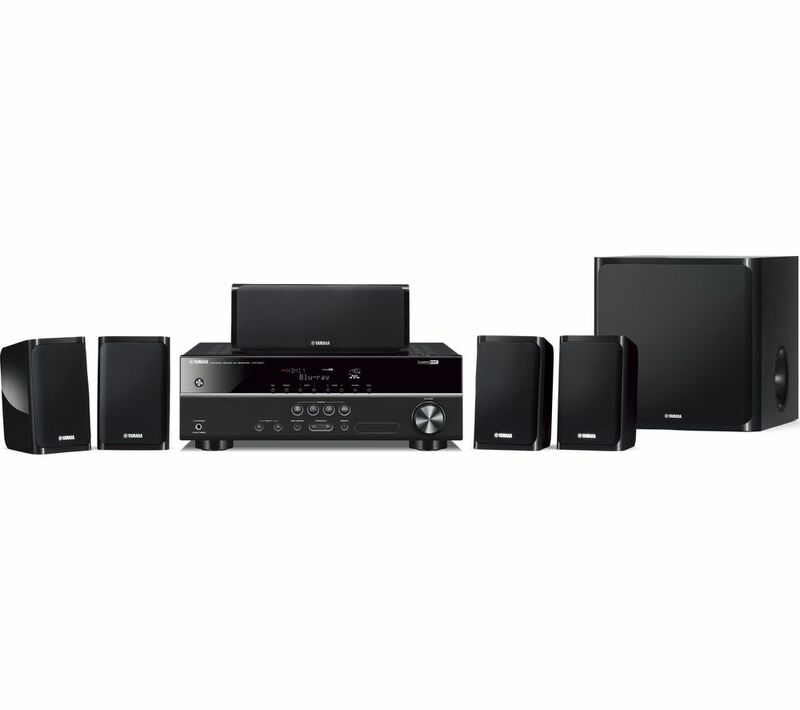 Experience deep, detailed surround sound from the Yamaha YHT1840 5.1 Home Cinema System. 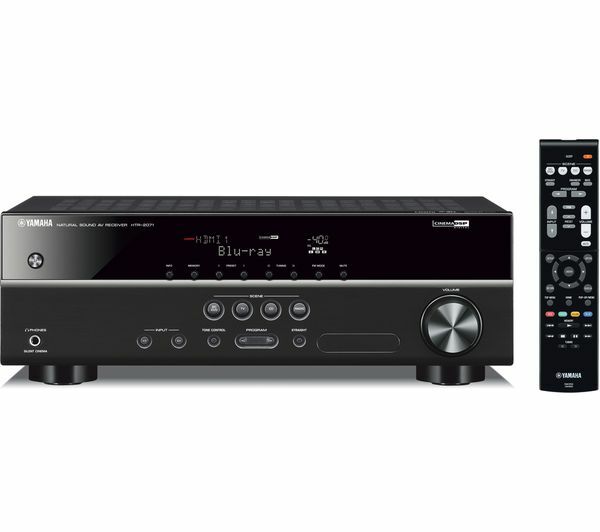 Centred around a powerful AV receiver, it creates spectacular impact for dramatic films, TV shows and games. Feel immersed in whatever you're watching with high-quality front, rear and centre speakers that move sound around the room. A wired subwoofer fills out the bass for spine-tingling power and atmosphere. With 100 W per channel the system outputs maximum sound from a compact design. Enjoy the premium picture quality of 4K Ultra HD content. 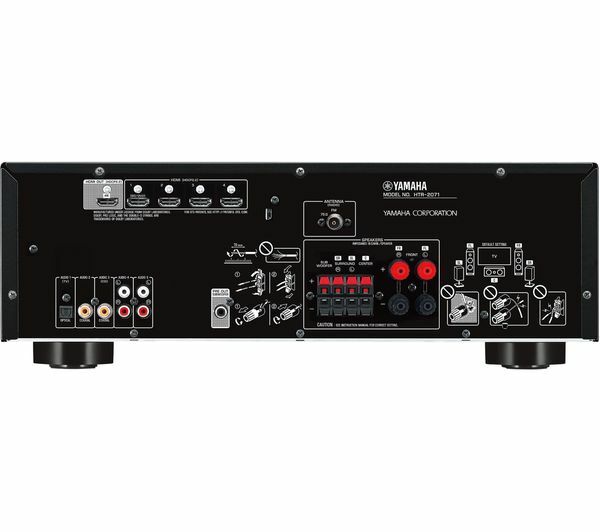 The Yamaha YHT 1840 Home Cinema Kit gives you four HDMI ports for connecting your Blu-ray player, games console and TV. Support for HDCP2.2, BT20:20 and HDR means you'll be able to view the latest 4K movies and programmes at full quality. Since the AV receiver is compatible with 3D, ARC and CEC sources, you'll be able to make the most of any content. Whichever source your audio is coming from, the YHT-1840 ensures you hear immersive surround sound. If you don't have space to install the surround speakers behind your listening position, you can activate Virtual CINEMA DSP to recreate virtual five-channel surround sound that's detailed and realistic. Position your speakers where it suits you – without compromising on sound quality. 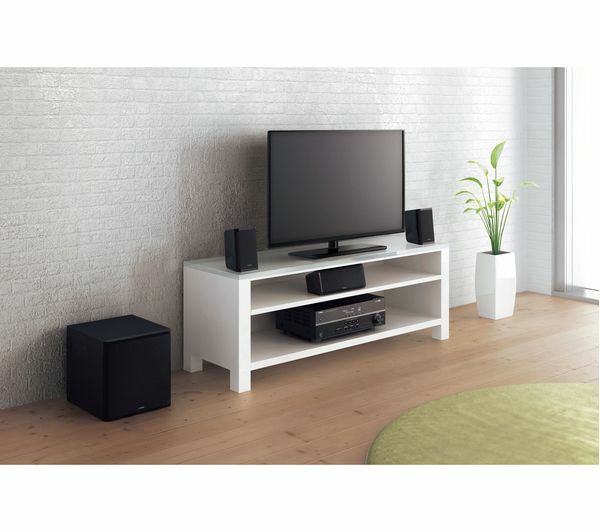 Small and neat, the satellite speakers will fit in easily with most living spaces. There's 24 m of speaker cable included to make installation simple. You'll get top-notch audio response from each part of the system, rounded up by huge bass from the wired subwoofer. Enjoy video and music that sounds huge, looks stunning and feels natural. Check out our range of HDMI and optical cables to connect your input devices and to make sure your new home cinema system works perfectly, with improved transfer speeds. Look out for the Sandstrom Silver Series HDMI cables with their lifetime warranty.